If you have found this website then you are already aware you may need a Full Home Electrical Rewire. We will take you through the reasons why, the warning signs you may need a full rewire, what is involved in a Home Electrical Rewire, and finally the cost’s involved detailing the process of how life will be during the Home Rewire. We have over 24 years experience in Home Rewires, we know the pitt falls, the level of work required to complete a quality home rewire so we present ourselves to you to show you what is involved. Why Do We Need A Home Electrical Rewire ? The reason why you need a home electrical rewire can come from several sources. You may have had a Electrical Installation Condition Report conducted or Electrical Home Survey and the report stated a Full House Rewire was required. You may be selling your home, buying a home, rewiring your current home or be looking for a relative that needs a full electrical rewire. Either way let’s start at the beginning and look at the three most common reasons why you need a full electrical home rewire. TRS wiring. This was rubber housed wiring installed between the 1950’s – 1960’s, it was superseded with PVC and it stands for tough rubber sheath. This wiring also comes in the form of a solid outer aluminium sheath, again it is very old wiring superseded with pvc wiring. The problem with these types of wiring is it will now be breaking down in its current state, literally exposing the inner live and neutral cores. If disturbed ie someone tries to remove a socket face or light switch face it can explode in your hands as both cores short together between live and neutral or touch the earth core within it if it has one so please get a competent electrician to check this out and our advice is remove this wiring immediately for electrical safety. DIY wiring changing the original electrical layout of the original wiring to a state which is beyond economical repair and dangerous. Lets face it, when DIY husband’s, family friends anyone without electrical training gets involved with electrics it can be a recipe for disaster. Not only do they end up altering the original electrical installation but sometimes they adapt it that much and that badly over time that electricians have to draw a line under it as it is beyond economical repair to actually put it right resulting in the advice that a full rewire is required to fix it. This combined with older wiring can mean the advice to rewire is advisable to ensure compliance with the latest wiring regulations BS7671 and peace of mind. 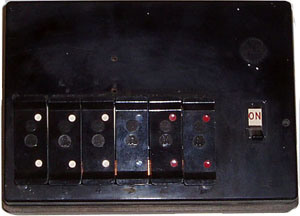 Old rewirable fuse box – commonly known as the Wylex BS3036 fuse box. The presence of this is a indication the property is 1960’s to 1970’s wired. It does not necessarily mean you need a full rewire tho. You may get away with a replacement RCBO or Dual RCD Fuse box if the wiring is PVC and each cable for lighting and power has the presence of the earth cable within it also commonly known as the CPC. Now listen up, in the 1960’s when electricians wired the lighting circuits in houses the PVC cabling did not always have the earth core present in the twin and earth cable, this means your current pvc wiring may be OK or may not be OK resulting in just the lighting circuits being rewired. Old minimum standards of Electrical points to today’s modern living standards. How many sockets & lights you need in your new Home. Today’s electrical minimum standards for the amount of sockets and lights you need is somewhat different, literally. Have a look behind your TV now as you see it, I bet you have one or two sockets with a long extension lead behind the TV because you have a sky box, a DVD player, surround sound system, dongle box, play station, Xbox, hard drive, landline phone power adapter all plugged in, yes?, read on. Lets take a moment to add these up, 8 power points equating to 4 x twin sockets actually required behind the tv alone. to gain access to lift the floor boards or chipboard floor underneath. Wall chases from the ceiling down to light switches and sockets will be channelled in to a depth of 50mm if possible. Wall chases up from the skirting boards to the sockets will be channelled in. Light switch and socket back boxes will be chased into the brick work. Plastering up will be required! Dust will be created and it will go everywhere no matter how much you dust sheet items. Power to sockets and lights, cookers, showers could be redundant during the rewire. So, we have covered the amount of sockets you actually need just behind the TV in the living room, now transfer this thought method to the rest of the house and think kitchen, bedroom. If you get into this mind set of knowing your electrical requirements in preparation for the home electrical rewire you will speed up the process for the chosen electrician and he will be impressed with you especially if you actually draw them out on a plan for them to see the actual location you want them. What a quality Electrician conducting your Home Rewire can do to minimumise disruption during the Home Electrical Rewire so please request this in advance from them. Shrink wrap furniture items and electrical items during the course of the rewire to protect them, yes this means living without them but better to protect them rather than damage them. Advise you to remove as much furniture from the home as possible to speed up the process of the Home Electrical Rewire. You are paying for the rewire, if the Electricians are spending 3 hours a day moving furniture back and forth that is 3 hours of work not being done on the Home Rewire each day, this adds up. Utilise garage’s and family and friends. Possibly advise you to move out during the course of the rewire as it is by far no means a pleasant environment to live in whilst it is going on, most of the time for families this is unavoidable so they have to grit their teeth and bear it through. Moving out will speed up the Home Rewire process. A decent electrician will leave the existing sockets and lights power on each day and install a new system while leaving electricity on, this can be done in stages such as working from the top floor down IE install the upstairs sockets on its own circuit then plan a changeover day to kill the old socket circuit and rip out the wiring thus energizing the new circuit at the same time so the customer is not without, same goes for light too. Work from the top down is our advice that way you are working in stages. How Much Does a Home Electrical Rewire Cost ? The ultimate question on a Home Electrical Rewire is cost, How much does it cost to rewire the home and what should we expect as a general ball park specification in terms of how many sockets, light switches you get for the money you pay. Below is two standard prices derived from the industry, both prices are general home rewire specifications based on two different house sizes to give you an idea. All socket and light switches including all chases plastered up to finishing standards. Expect to pay extra for out houses such as garage electrics as this involves cabling such with steel wire armoured from the house if it is separate, suspension wires from the house to the garage to support the armoured s.w.a cable can make this cheaper rather than digging up the driveway or garden so ask for a wire suspension kit, damp garages can mean IP rated equipment required in the garage such as weatherproof lights, switches and sockets! Expect to pay in the region of £400 to £500 for a dedicated garage cable from the fuse box, a garage fuse box, light switch, light and socket. Make sure the garage is on its own supply circuit breaker and on its own dedicated cable to save overloading other house circuits. Power Showers – Expect a variation of £225 if a power shower is required as quality branded power showers are pricey. Expect to pay extra for out houses such as garage electrics as this involves cabling such as steel wire armoured from the house, damp garages can mean IP rated equipment required in the garage such as weatherproof lights, switches and sockets! Expect to pay in the region of £400 to £500 for a dedicated garage cable from the fuse box, a garage fusebox, light switch, light and socket. Ok so now you have the basic costings of how much a Home Electrical Rewire can cost, now lets make sure you get what you need down in writing so you and the electrician knows what you expect and you can check you get the Home Electrical Rewire specification you pay for! This means get the electrician to break down his invoice per room so you know how many sockets, tv points, phone points, lights are in each room, this way you can walk round each room once completed and tick them off the list to make sure you have had them installed. Think outside the box at this stage, do you want a intruder alarm system installing at the same time ? Outside LED security lights ?, outside power sockets ? extra phone points ? data points from the home WIFI router ? cables in the wall behind the television, all these things, sit down, draw it out and think what you need in advance. It is easier to add during the Home Electrical Rewire rather than after it is done. Pictures of what to expect during the Home House Electrical Rewire as work in progress. But wait, who and where do you find a reputable installation Electrician to conduct your new Home Electrical Rewire ? We took the trouble out of going through the directories with our installers list, all installers are Part P approved electrical contractors with a proven track record of conducting quality home rewires. Check out each installer and email them for a quotation, remember what you have learned on this website and good luck with your Home Rewire. A question many house owners, and more often potential house buyers ask themselves is “does this place need a rewire?” How do i know? Am i being told this just for the sake of rewiring my house ? Often the answer is not as straight forward, as some parts of the installation may be satisfactory, others not so. Some older properties may have had modifications carried out while different (IE older) versions of the Wiring Regulations were in force and are now in need of improvement. The only way to be sure, is to get an approved City & Guilds 2391 electrical inspector to have a look and carry out an inspection. If you are buying a property, paying for an inspection by me may be money well spent if you discover the property needs to be re-wired, That i assure you from 24 years experience! Dual RCD Fuse Box Replacements Leeds or RCBO Fuse box replacement Leeds – What is the difference between Dual RCD & RCBO Fuse boxes ? The answer is simple, as with most things in life you pay for what you get. 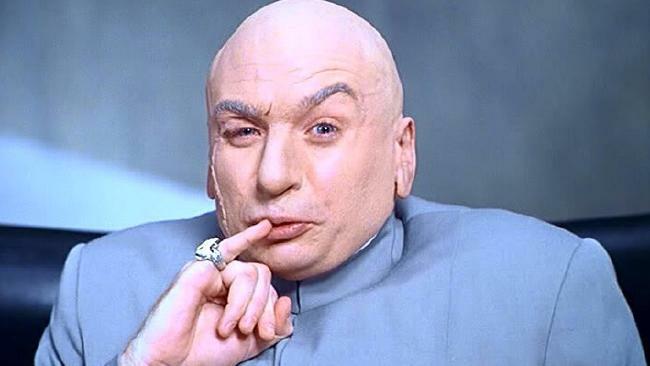 If you receive a quotation from a one man band sole trader and it sounds too good to be true it most likely will be. A Dual RCD fuse box will isolate unto 5 circuits at once if any fault occurs, a RCBO fuse box will not and literally trip the affected RCBO only. This means lights, sockets, boiler, garage supplies will not be affected as the RCBO fuse box what we fit as industry standard is the only circuit that trips. Yes they cost more as the parts cost more but you pay for what you get in this life, i have learned that and quality parts on an install equals less headache. Quite a few of trades these days advertise rewires at £2600.00 pounds to get you to accept the price and get a foot in the door, once you accept and they commence the rewire you are committed as you have no electricity and there is no turning back. the price itself offers next to no sockets in the house and then half way though the installation you end up paying up to £2500.00 on extras such as shower points, cooker points, smoke detectors, outside lights because you have no choice. 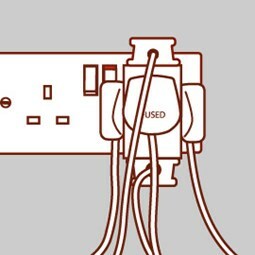 A rewire to the 17th Edition Wiring Regulations will take 5 days for two fast Electricians, at the end of the rewire all the cables should be capped as in this illustration. I do not believe any electrician that says they can do a rewire for £2600.00 pounds, show me one, let me visit it and I guarantee it will full of flaws, rushed poor workmanship and not compliant to the regulations. I visit quite a lot and end up having to re do the wiring as under the floors and ceilings are a joke. I have seen first hand a £2600.00 rewire when my company received a call from a client in despair having kicked the electricians off site for shoddy workmanship, MPS Electrical had to put it right but this cost the client more money on top of his £4000.00 which he already paid. My advice is if you need a rewire on your home or company premises, do it right first time and use a registered reputable company who issue certificates. If I had a pound for every time I visit a £2600.00 rewire special I would be a rich man now! Does your house need a rewire? Many houses in the UK still have old wiring. This is not only unsafe and a potential fire hazard but is also less efficient than modern systems. It can also affect the resale value of your house, as old wiring almost certainly is highlighted as a major problem during a survey. If you have old wiring in your house, for example fabric or rubber covered flex you should seriously consider having a complete rewire. Here at MPS Electrical Contractors Leeds we can completely redesign your electrical system to include sufficient socket outlets located in the right places to accommodate your needs, a state of the art consumer unit to replace your old fuse box which will contain residual current devices and circuit breakers. Rewiring a house is a major undertaking, we will carry out the work as quickly and efficiently as possible. Take a look at our 10-point checklist to see if you might need a rewire. Does your fuse box have replaceable fuse wire? Do your plugs or sockets get hot or have scorch marks? Do you have to use extension leads and adapters? Do you have lights that use the old, twisted type flex? Do you have round pin plugs and sockets? Are your cables missing an earth cable? Do you use electrical equipment outdoors? Has your wiring been checked in the last 10 years? If you have answered yes to any of the above you could require a rewire. (TRS) was the forerunner to today’s modern PVC cables. It was last used in this country in the early 60’s and if your property is older than this, and hasn’t been re-wired at some point, there may be TRS wiring present in your house. TRS wiring can be extremely dangerous. The sheaths (inner & outer) of these cables are made of rubber. The outer is impregnated with an oil, preventing it from drying out, but where the inner sheaths are exposed to air, ie. 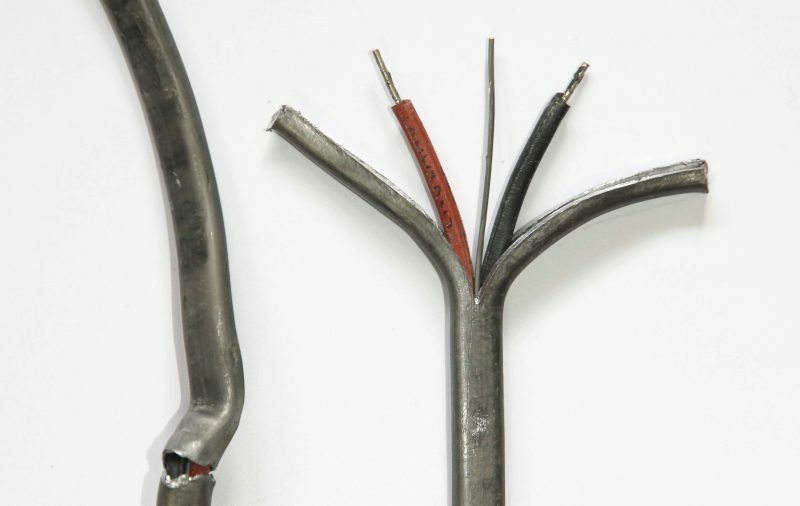 in junction boxes, consumer units, switches and behind sockets, this inner sheath, over time, dries out and cracks, usually falling off leaving exposed live conductors, as you can see this has happened to the black cable here. For obvious reasons this can be very dangerous, and any live TRS wiring should be replaced as a matter of urgency with the more modern PVC type. The two types of cable are very distinctive, and you should be able to spot TRS wiring at a glance. Another reason TRS cabling can be dangerous is that in the lighting cables (as in the picture) there is usually no earth wire. There are 3 conductors present in the PVC cable (Brown, Blue and the bare conductor, which is sleeved green and yellow, then used as an earth or cpc) but only 2 (Red & Black) in the older TRS cable. If there are metal light fittings in the property they cannot be earthed if a 2 core cable is used and this is very dangerous. A good place to check for TRS cabling is in the loft as access is easy. Of course these cables are also the easiest to replace, so if you don’t find any up there, there may still be some lurking somewhere else! It is important to remember that just because there is TRS wiring present, doesn’t necessarily mean it’s live. If you are in any doubt though, it is very important that you get a qualified electrician to check for you. Check for old accessories, switches, sockets, etc. In pre 60’s properties check the cabling, if it’s TRS GET IT REPLACED ASAP. IF IN DOUBT CALL US AND ASK US TO CARRY OUT AN ELECTRICAL SAFETY CHECK FOR YOU! When carrying out a rewire we can also provide computer data cabling, Phone points, Emergency lights, TV Aerial points, Intruder Alarm, Door Entry Systems and under floor heating. We can provide a free quotation to replace existing rewire able fuse boards with Consumer Units containing Miniature Circuit Breakers (MCBs) & Residual Current Devices (RCDs). These consumer units have built-in 30mA protection for the use of electrical equipment outdoors & easily re-set circuit breakers giving safe & accurate protection of circuits. MCBs are mechanical switches that incorporate thermal & magnetic short circuit protection giving accurate & fast disconnection in the case of a fault. Unlike fuse wires they can be reset without the need of tools. We also upgrade main & supplementary equipotential bonding to BS7671 standards. RCDs are earth fault safety trips that monitor the whole installation or individual circuit for earth leakage currents. The best way to determine the current state of an installation is to have a Periodic Inspection Report. 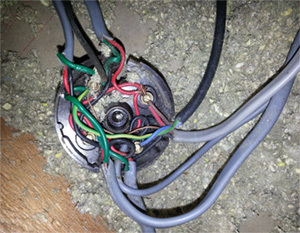 This type of report is often carried out prior to a rewire where there is uncertainty or concern over the condition of the installation. Our electricians have many years experience in rewiring existing properties. We offer free quotations for work ranging from a full rewire to a selection of small alterations & repairs. We will be happy to discuss your requirements & advise on the work requested. MPS Electrical is registered under the Part P self certification scheme.